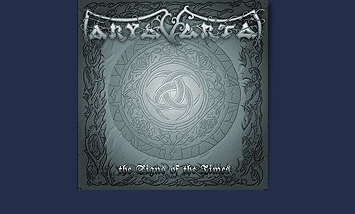 Finally, a long-awaited moment has come and we are glad to inform you, without excessive pathetics and pathos that the first Aryavarta concert will be on October 23 in St. Petersburg, Orlandina club (riv. Karpovka 5/2). 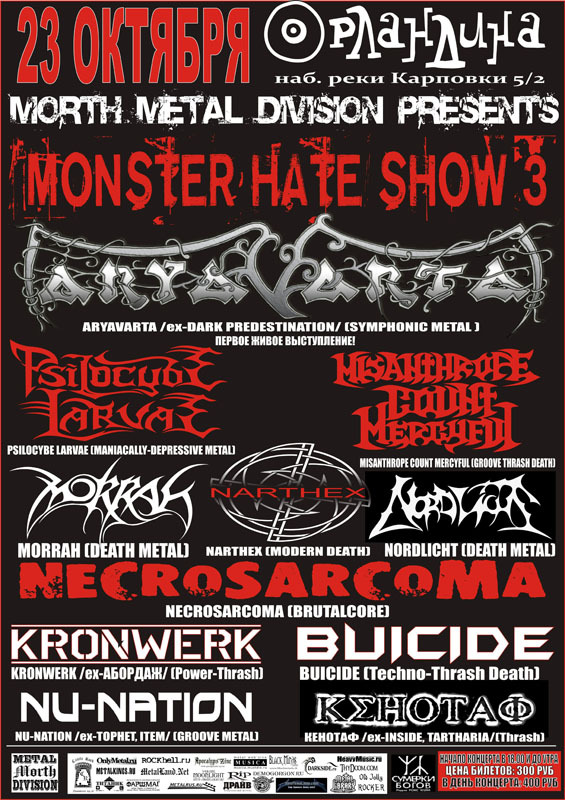 This is the great metal festival "Monster Hate Show 3" and some interesting bands will play there: Psylosybe Larvae, Misanthrope Count Merciful, Morrah, Narthex, Nordlicht, Necrosarcoma, Kronwerk, Buicide, Nu-Nation, Кенотаф. The show will start at 6:15 p.m. and Aryavarta play at 10:00 p.m. We are waiting for you at the "Monster Hate Show 3" festival. You will find something interesting for listening there and everyone could find a pleasure.